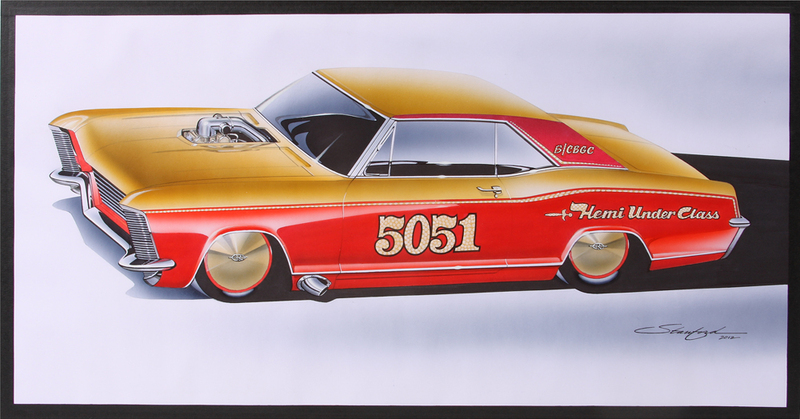 This 427ci LSX based Arias Hemi was built for Rick Head's Bonneville project. Rick is a fabricator and car builder at Bones Fabrication in Camarillo, California. He is the photographer for ARP-bolts and also sergeant at arms for the Southern California Timing Association (SCTA). He chose the classic class for earlier vehicles. 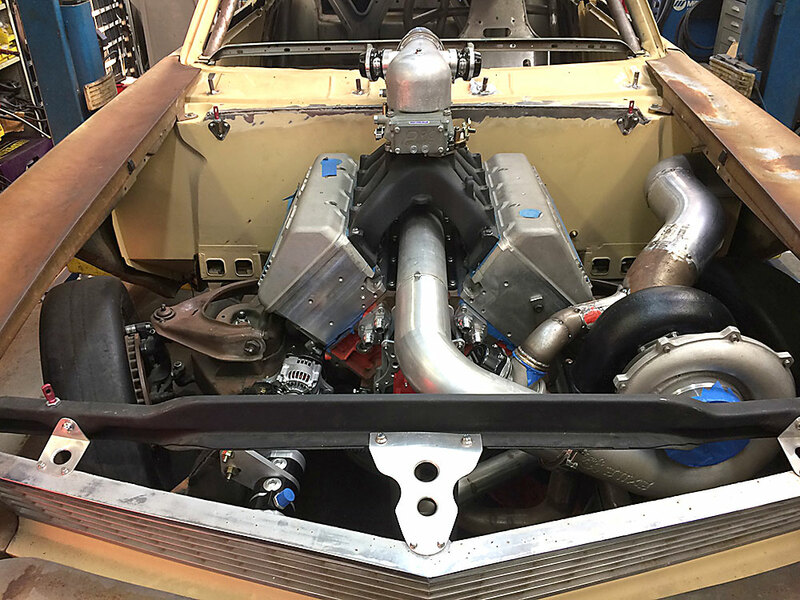 "Basically we are building a 1965 Buick Riviera for Land speed Racing in B/CBGC (Classic Blown Gas Coupe). It sports a 427 CID LSX with Arias Hemi Heads, Exile 94MM Large frame turbo, custom intercooler and a Mike's Transmission TH400 direct drive. Because we race on salt and dirt we are building the car as “modular” as possible so it can be dis-assembled, body removed and cleaned. Class rules require mechanical fuel delivery, one distributor or magneto hence the use of the blow through carb and front mount distributor." 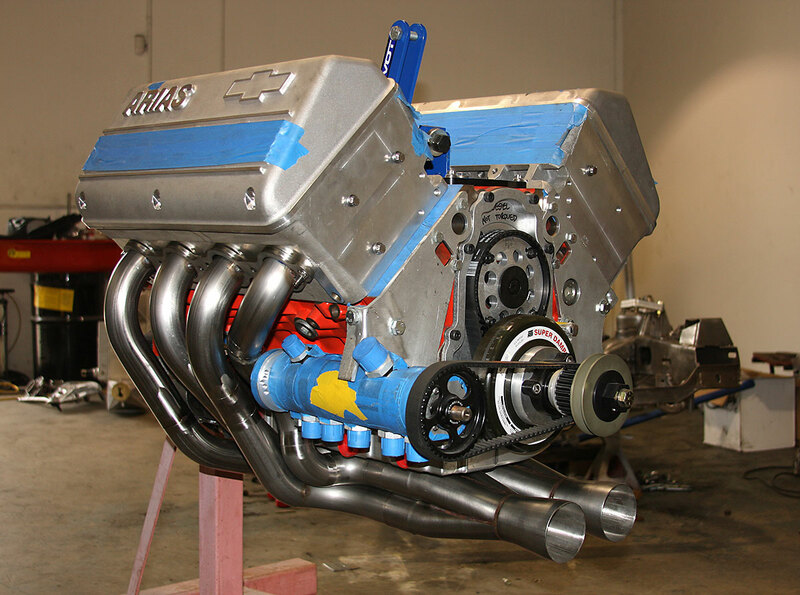 The LSX engine with extra tall Arias Hemi Heads is a tight fit in the chassis with all the supporting elements such as intake and exhaust tubing dry sump oiling, alternator and fuel system components. 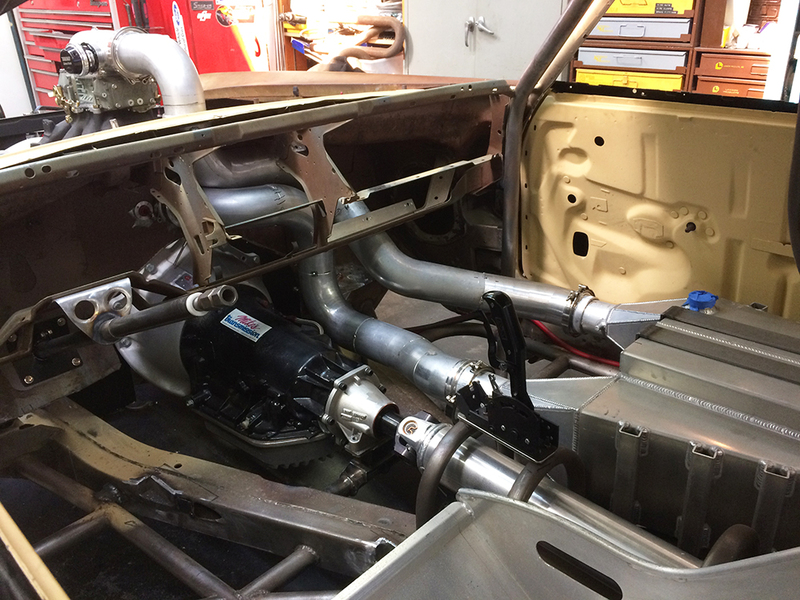 With the short block installed in the chassis and a set of mock-up heads in place, they are ready to build headers and intercooler plumbing using the stainless tubing and collectors from Vibrant Performance. Like many projects, this one evolved when Rick and NA3 (Nick Arias III) were having a beer on the back patio talking about the project when the question arose: what are we going to do with this thing? Should we build a drag radial car? Maybe a Bonneville car? Rick’s 1965 Buick Riviera, a future project car sat nearby. Nick said "Hey man, are you thinking what I'm thinking? That thing would make a sick Bonneville car!” After consulting the Southern California Timing Association (SCTA) rulebook, they realized there is indeed a class for it: Classic Blown Gas Coupe (CBGC). It would need to run about 230 MPH, but a record was within reach. That's when this project took a hard left turn down a familiar road. Both had experience racing at Bonneville so it would not be their first rodeo. But we knew we're going to need a solid plan and some help with the car. Since the car evolved from the engine concept we’ll outline what it takes to assemble a short block capable of withstanding the torture of Land Speed Racing. 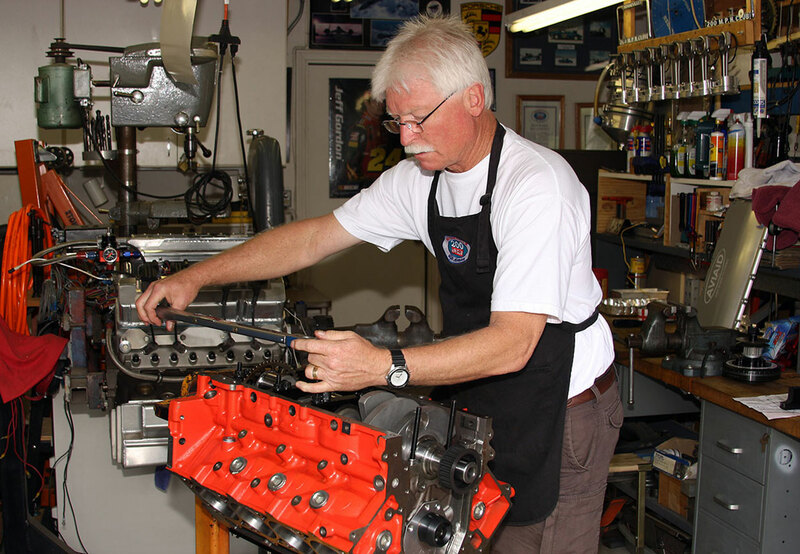 After consulting with fellow land speed racer Mike LeFever of Mitech Racing Engines regarding camshaft specs and arriving at a 9.5:1 compression ratio 4.125" bore x 4.00" stroke 427 CID, it was time to gather parts. The foundation for any max effort engine project is a good block. 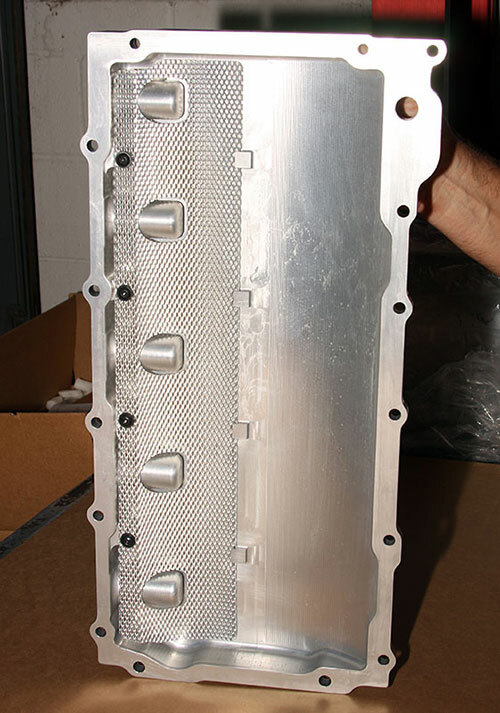 Due to the high cylinder pressures involved, they chose a GM Performance Parts (GMPP) LSX block. 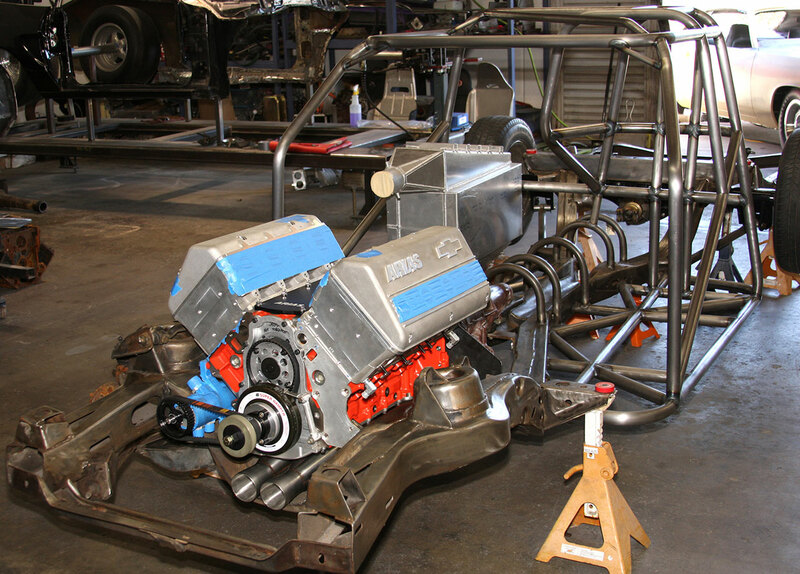 The LSX block provided many key features including extra-thick cam bearing bulkheads, deck and Siamese bores, six head bolts per cylinder keeping the high cylinder pressure of turbocharging in check, a true priority main oiling system, external oil pump feed, bay to bay breathing pockets, six -LS7 dowel in place steel main caps and lifter access windows, to name just a few. 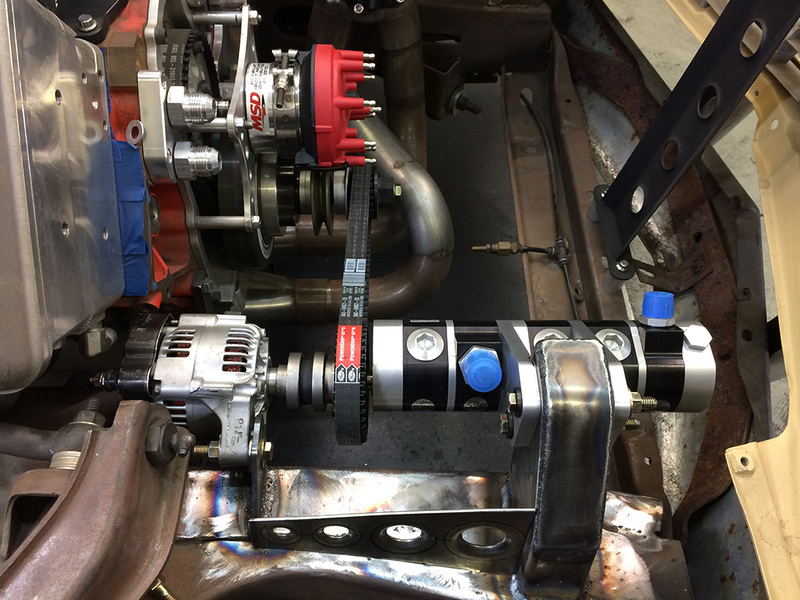 Proper block prep included the 4.125" bore and hone, installing the ARP main stud kit, align hone, deck, ng and clearance for the Jesel belt drive. This build uses ARP fasteners exclusively. 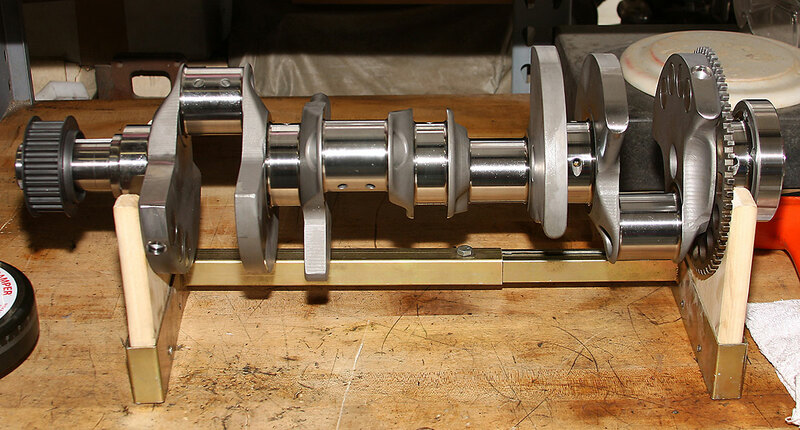 Needing a bulletproof rotating assembly, they turned to Callies for a 4.00" stroke "Dragon Slayer" LS crankshaft. The Dragon Slayer is a premium USA made 4340 forging of Timkin Steel forged in Lansing, Michigan and finished at Callies Fostoria Ohio facility. The Dragon Slayer is Nitrided to Callies "Ultra-Case" heat treat spec enhancing strength and creating an extreme load bearing wear surface. Other features include gun drilled mains and analyte drilled rod journals polished to .5 or better roughness average (RA). Both main and rod journals feature larger radiuses and a 96%-98% available bearing surface area. The main journal oil feed holes have a "lead in" feature that takes the load off the oil film and increases oil flow as it transfers to the rod journals. The Dragon Slayer has a standard LS flywheel bolt pattern and a longer snout is available for dry sump applications. Callies custom balanced the crankshaft to the bob weight they provided and sent it on it's way to their 2000 horsepower LSX Hemi build. 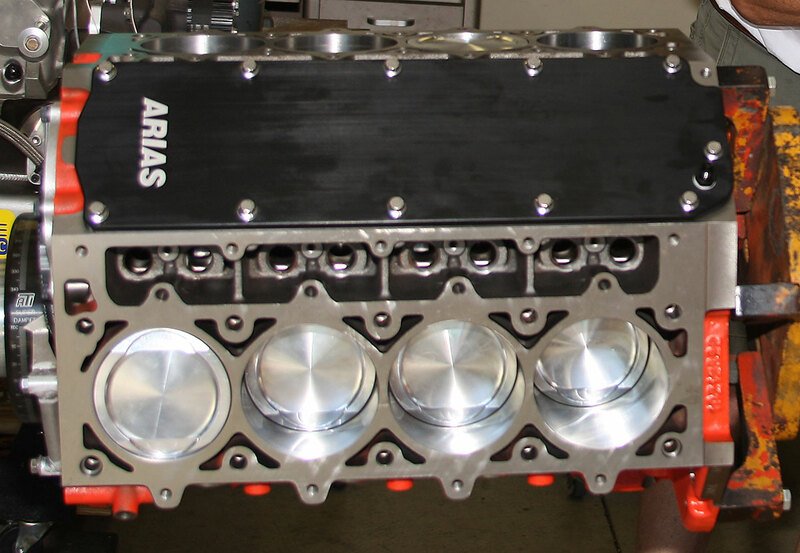 For over forty years Arias has been a leader in manufacturing high-quality high-performance pistons and NA3 himself took up the task of designing the pistons for our LSX Hemi. 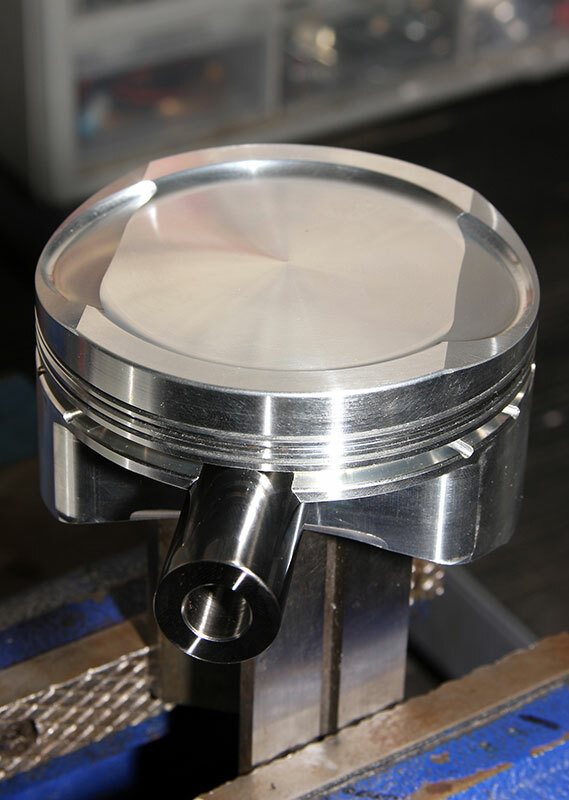 Multiple factors go into the design of the piston, most importantly, application. To say Land Speed Racing is a torturous environment for the piston is an understatement. 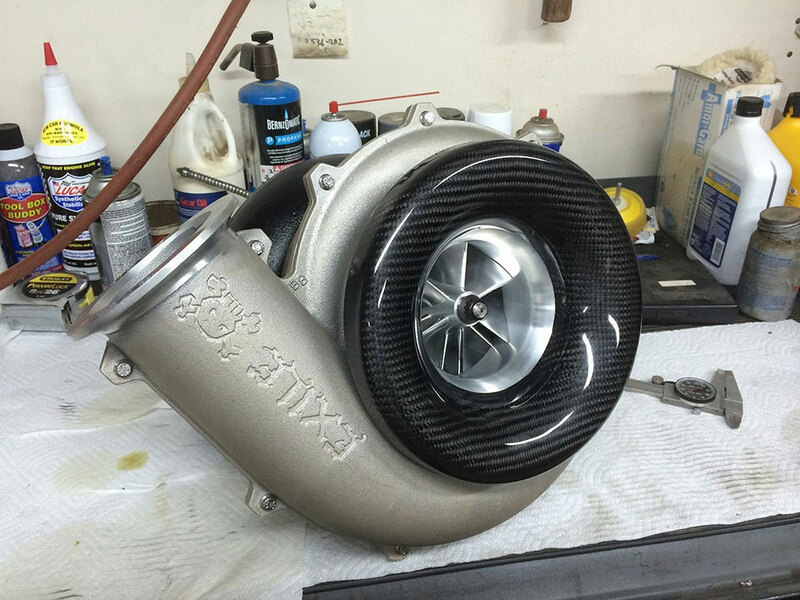 Add a turbocharger to the mix and you better get it right. For rings and bearings, they spoke with Ray at Akerly & Childs. Ray came through with a set of their low-tension Xtreme piston rings and a set of Clevite 77 rod and main bearings. 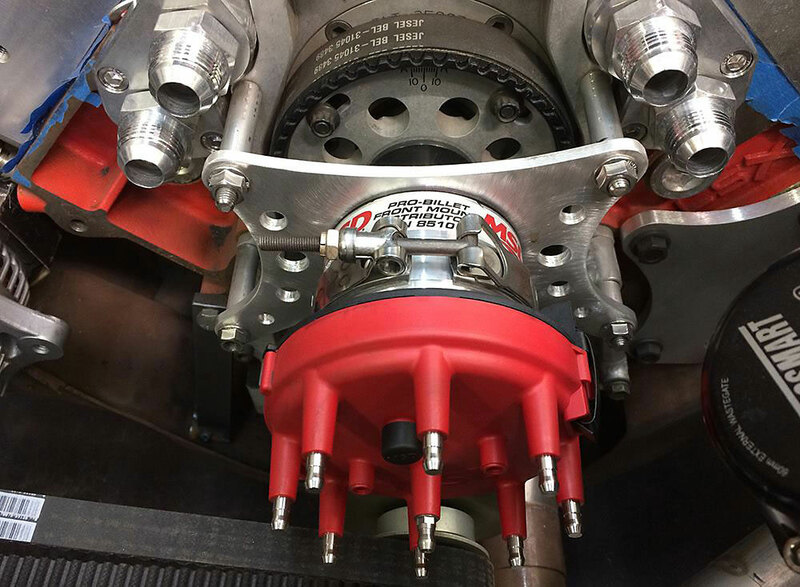 The Xtreme top compression ring is a HTD (High Tensile Ductile) material used in Pro Mod and Top Fuel applications with a cast iron taper-faced second compression ring. Most cast iron and moly rings are porous and hold an oil micro film within the ring. To achieve the best seal with the smooth surface of the HTD top ring, Ray recommended a 280 cylinder wall hone finish, followed by an 820 stone just enough to "plateau" the 280 finish and hold the micro oil film in the cylinder wall. 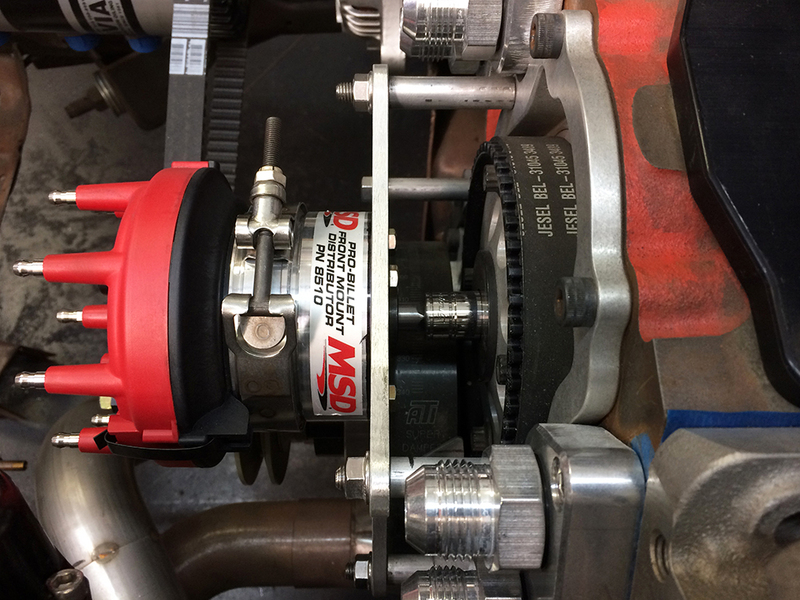 For boosted applications he recommends .007" per inch of bore ring gap for the top ring (.007' x 4.125" = .028) and (.004" x 4.125" = .0165) for the second ring. Ultimately Ray explained that while this is what he found works the best, these numbers will vary from one engine builder to another based on their own experience. Arias 2618 Hi-Tensile 4.125" LS Hemi piston with .927" diameter .225" wall tool steel non tapered wrist pin. Notice the Hemi valve notches! When it comes to roller camshafts for racing applications, one name stood out from as long as they could remember, Iskenderian. 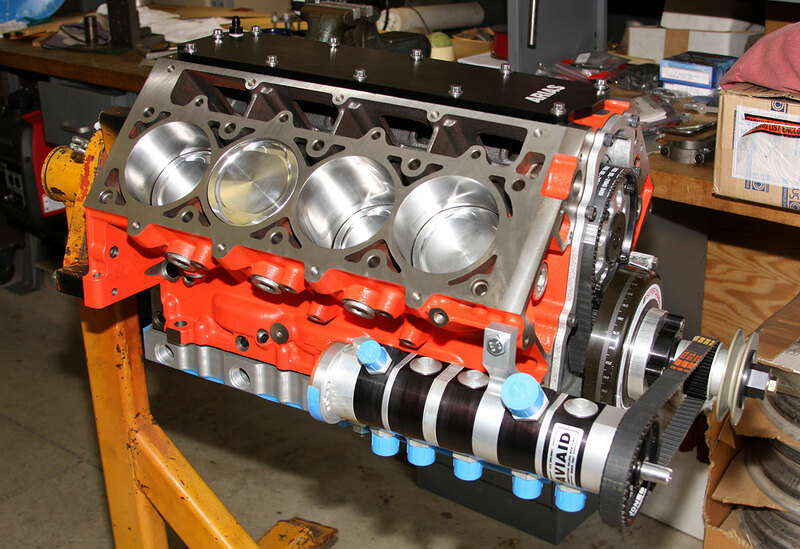 Ed the “camfather” himself set them up with a dual pattern 8620 steel billet solid roller 272 intake duration and 270 exhaust, @ .050" on a turbo-friendly 114 lobe separation. A 1.75 rocker ratio nets .747" intake .735" exhaust lift. The cam bumps a set of "Red Zone EZ-Roll Max" lifters. The EZ-Roll Max series lifters are an ultra-low-friction bushed roller bearing design capable of handling the high RPM extreme loading and spring pressure conditions common to high boost turbo applications. They can sustain up to 10000 RPM and 1300 psi open spring pressure. You can't do that for long with a needle bearing lifter! 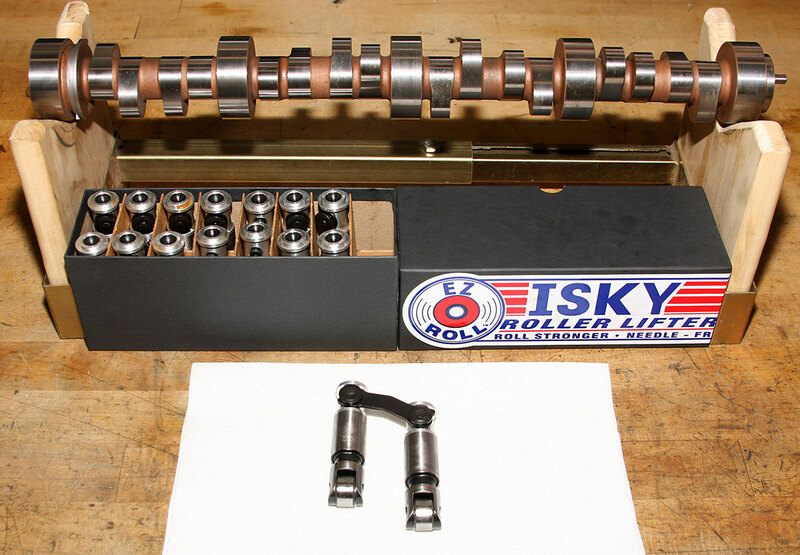 Isky Steel Billet solid roller camshaft with "Red Zone EZ-Roll Max" roller bearing lifters. Iski made the lifters .100" taller for tie bar clearance as the LSX block has a slightly taller lifter boss. According to Schwartz, Land Speed Racing is one of the most taxing forms of racing for the oiling system. With sustained high RPM and power levels, the oil has little chance to breathe. Couple that with the fact that the oil is the most un-contained fluid in the engine, yet it has to be at several specific points to do it's job effectively, and you can see how important it is to get it right. The system holds three gallons of oil. John set the pump up with a 60% under drive. With max RPM between 7500 – 7800, the pump speed will stay in the 4500 - 4700 RPM range. If the pump speed is too high, it will reach a point of cavitation and won't pick the oil up. If the pump speed is too low, it may not provide adequate pressure/volume or scavenge. 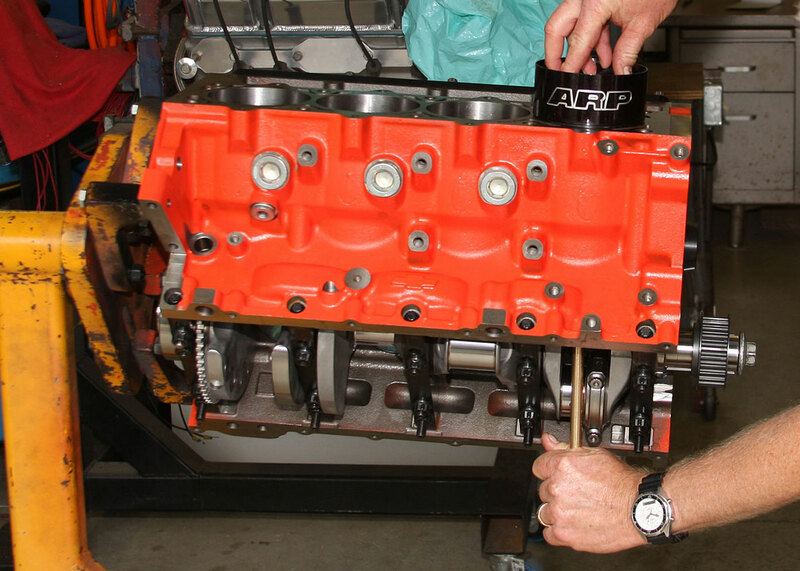 Rick’s friend Jon Meyer of Jon Meyer Engineering (JME) assembled the short block. Once all the components had been deburred and thoroughly cleaned Jon lays the main and rod bearings in place, torques to the manufacturer’s specs and begins measuring. During this process Jon will check and document every component’s dimensions. Jon sets the rod and main bearing clearance between .0028" - .0032" which sometimes requires swapping .001" under or over bearings get where he wants to be. 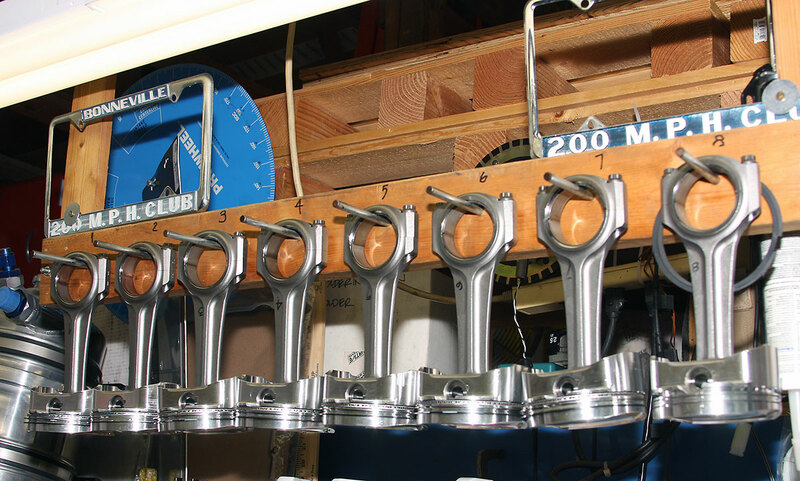 Once all the components are qualified, rings are ground, clearances are set, pistons and rods assembled and any other obstacles overcome, it's just a matter of bolting it all together! 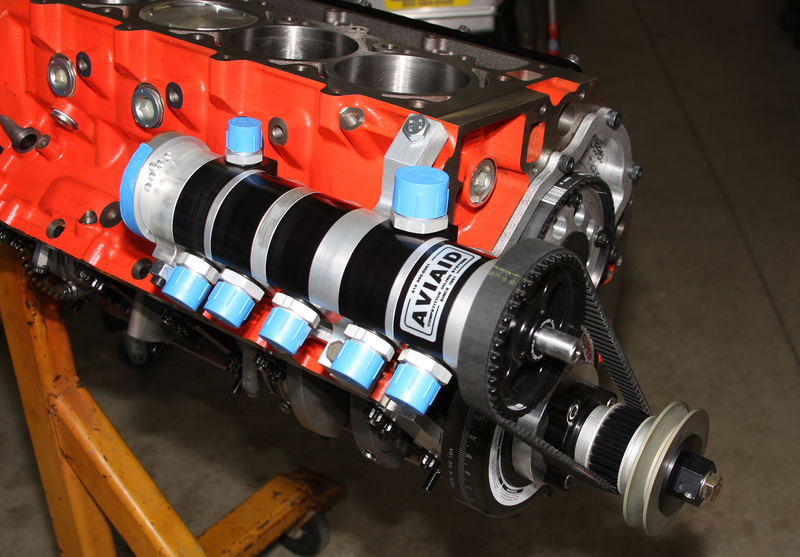 Low profile Aviaid dry sump pan features five scavenge ports and a windage screen for optimum oil control. A front scavenge port is essential under braking. Five ports will allow us to use three stages of scavenging from the pan, one for the heads and two ports to use for drain back. A blow-through carburetor is required by the rules, hence the 900 CFM CSU carburetor mounted on a Holley Manifold. Pressurized air is routed from the turbocharger, under the intake manifold, and through the firewall to the intercooler in the car. Then it flows on to the carburetor through the cowl. Contamination is particularly important with fuel and ignition components. hence the modular component approach. They chose an MSD Grid system as it is the most powerful ignition in terms of voltage and millijoules per spark energy. Perfect for boosted applications. The Power Grid system can control many other features however, the class limitations won't let them take advantage of everything it has to offer other than shear spark energy, tach, shift light, and upper RPM limiter outputs. 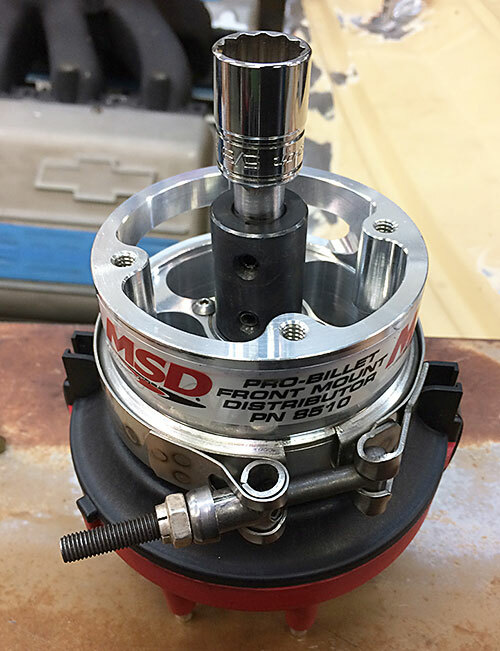 The LS to MSD trigger converter allows them to use the internal 58 tooth crank trigger wheel and convert it to four count square wave that the MSD can recognize. Also, they had to modify the front drive distributor to make room for the turbocharger boost tube. They made a new mount plate and used a keyed coupler, a hand-made drive shaft to a Snap On 5/8 socket to drive directly off the upper Jesel belt drive pully left-hand bolt. The driver side of the engine has the starter, headers, dry sump scavenge lines and steering in the way of the oil pump, so they modified the pump for counterclockwise rotation, inverted it and solved another problem of where to put the alternator. 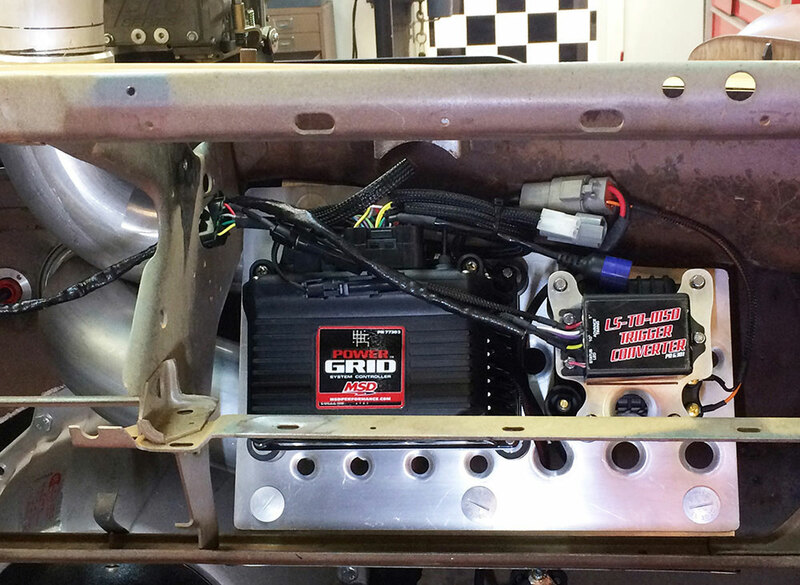 The MSD Power Grid is a favorite among racers for its broad versatility. It is the most powerful ignition available and offers complete control if all systems. 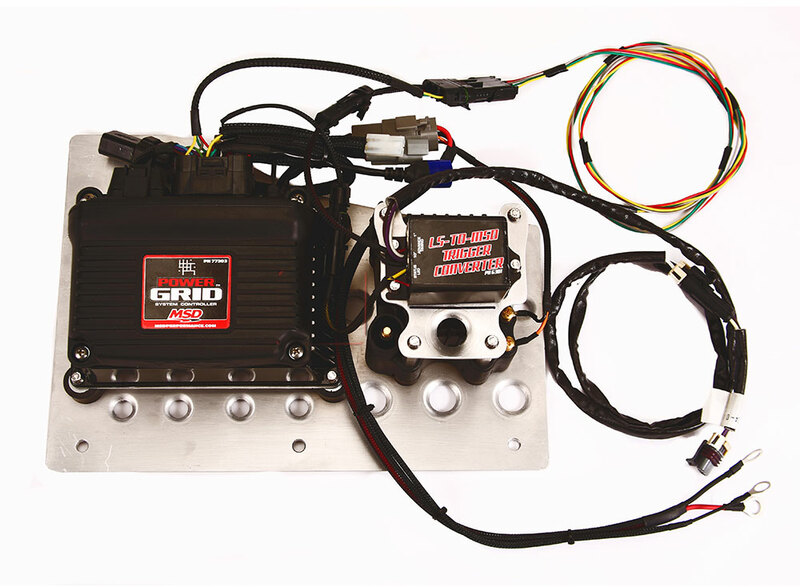 The LS System Converter allows seamless connection to the LS engine's crankshaft trigger wheel. The driver's side of the engine has the starter, headers, dry sump scavenge lines and steering in the way of the oil pump. They modified the pump for counterclockwise rotation, inverted it and drive the alternator off the pump. The car is not finished, but they are working hard to make the next Bonneville meet. They chose the car it was available and for the classic styling that is so different. The current class record at Bonneville is 226.243 MPH and 202.618 at El Mirage. That’s what they’re after! 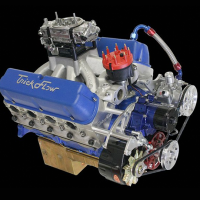 The body is not aerodynamically ideal, but the awesome power of the turbocharged Arias Hemi Head LSX is expected to make the car fully competitive.